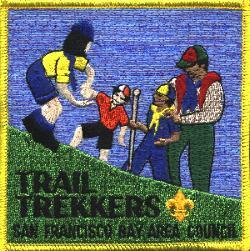 The Trail Trekker Hikes are a series of 8 hikes in the Bay Area that are appropriate for Cub Scouts. The hikes introduce a variety of environmental and geological elements to the Scouts while they explore the diverse Bay Area. 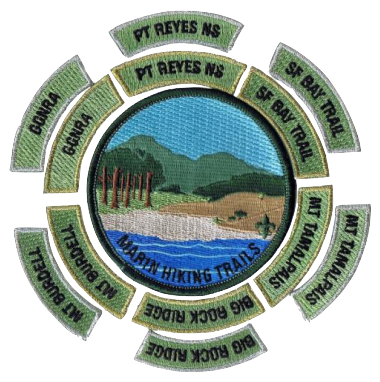 A series of 9 patches represent completion of the hikes. A large colorful square patch is earned by completing the first hike. Each subsequent hike earns the applicable small segment patch for that hike. These patches are frequently displayed with the large patch in the center and two segment patches along each of its four sides. Mt. Diablo Silverado Council's Highlander program encourages youth in Cub Scouts, Boy Scouts and Venturing to experience the outdoor wonders that exist within our Council. The program is a series of 14 progressive hikes with a center patch awarded with the first hike and a rocker for each hike. Many of the hikes are specific trails, but some may be awarded for any hikes done within the park. Most of the hikes can be done by youth of any age. 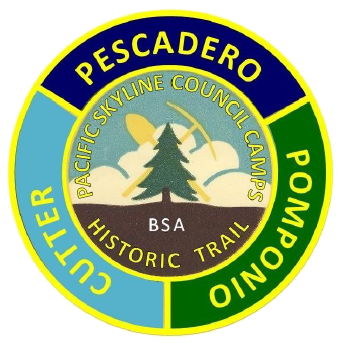 Pacific Skyline Council has three designated trails (Pacific Skyline Council Camps Historic Trail, Redwood Historical Trail, Boulder Creek Scout Reservation Nature Trail) where hikers may earn a patch for completing the trail. Details on each of the respective trails may be found on their website at the above link. All of the patches (and medal) are available to anyone who completes the respective hikes: Cubs, Scouts, Venturers, family, friends, etc. The Redwood Regional Challenge (RRC) is an exciting partnership between Sonoma County Regional Parks and the Redwood Empire Council of the Boy Scouts of America. Scouting units are encouraged to hike or perform service projects in eight designated Regional Parks. After completion of the hike or service project, each participant receives a patch and rocker representing the park visited. Additional rockers can be earned by visiting designated parks and completing the RRC hike or service project. 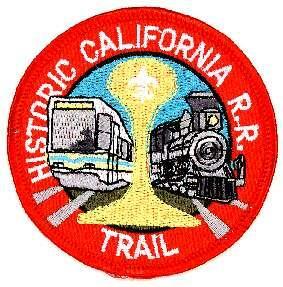 These patches can be purchased from the Redwood Empire Council office in Santa Rosa. 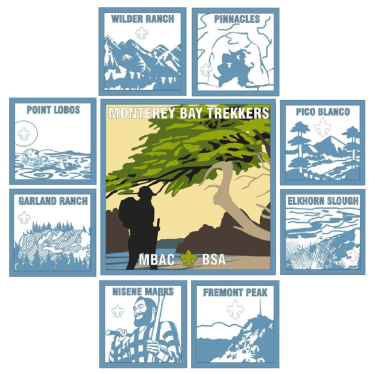 The Monterey Bay Trekkers hiking program is an opportunity for Cub Scouts and their families to explore local hiking trails and parks in Monterey, San Benito and Santa Cruz Counties. Through the Trekkers program, Cub Scouts and their families will also learn why health and fitness are important for a long-lasting and productive life. Click here for the hiking guide. This award is intended to encourage Scouts to take advantage of the many challenging trails and terrains in Marin County, while working on advancement. Cub Scouts and Webelos award requires a minimum 1-mile hike on trails in the designated location. The award will have a gold border for the 1-mile segments, and 5-mile segments will have a silver border. Hikes must be done continuously, not split overnight. Information of the trails and applications for the award can be submitted to the Marin Council with this form. The Presidio Historic Trail, sponsored by the San Francisco Bay Area Council, has a trail for Cub Packs and Boy Scout Troops. The Cub Scout Trail is about 3.5-miles as it starts from the Visitor Center, down to Fort Point and then around to Battery Chamberlin. The Boys Scout Trail is between 6.4 to 8.1 miles depending upon whether the troop hikes all across the Golden Gate Bridge and back. More info of the trail here. This is a one-day 5 mile urban hike to remember and experience the California Gold Rush in Sacramento. More info of the trail here. This is a hike that incorporates a visit to the California State Railroad Museum in Old Sacramento and ride on the RTD light rail train. More info of the trail here. For 26 years, the Trails Challenge has been designed to get you outdoors, exploring on your own, with friends, or with loved ones. 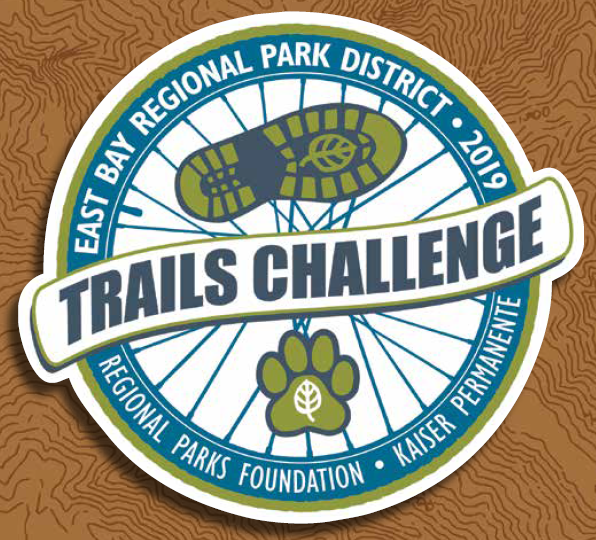 Easy, moderate and difficult routes are available, leading hikers to scenic destinations through a variety of EBRPD parklands. You can use any trail route to complete the Challenge, not just those listed in this year’s Guidebook, by exploring at least five trails or 26.2 miles.